How prepared are Minnesota's nuclear plants for a flood? River levels are rising around Minnesota, along with worries about flooding that could damage homes and businesses. One place where flood waters can pose a safety risk is a nuclear power plant. So how prepared are Minnesota's two nuclear plants, at Prairie Island and Monticello, for a possible flood? How can flooding become a problem at nuclear power plants? Most nuclear power plants are located in low-lying areas next to oceans, rivers or lakes because they need large amounts of water for cooling. That means they can be vulnerable to flooding. The biggest threat to a nuclear power plant from a flood is a loss of power, which could cripple the plant's ability to operate the pumps that circulate water to cool the reactor. This happened in the 2011 nuclear disaster at the Fukushima Dai-ichi plant in Japan, where a tsunami following a major earthquake led to a reactor meltdown and release of radiation. Both of the state's nuclear plants are next to the Mississippi River. How vulnerable are they? Although they're not by an ocean, the two nuclear plants in Minnesota do need to prepare for a worst-case-scenario flood caused by rising river levels from rain, snowmelt or — in Prairie Island's case — an upstream dam failure. After the Fukushima disaster, the U.S. Nuclear Regulatory Commission required U.S. nuclear plants to take another look at their safety plans and determine where they might be vulnerable to earthquakes, floods or other disasters. 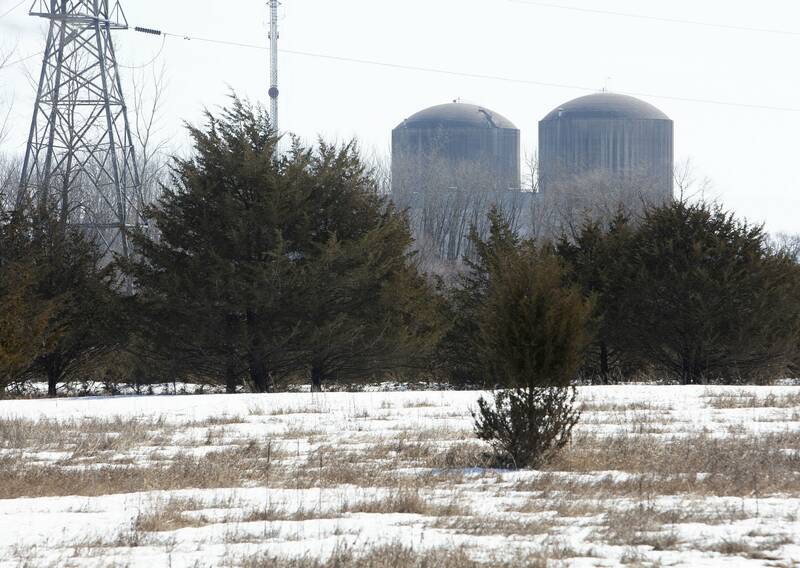 Xcel Energy owns both the Prairie Island and Monticello nuclear plants. Scott Sharp, site manager at Prairie Island, said it's now standard in the nuclear industry to prepare for high-risk natural disasters, even if the chance of their happening is low. "We just assume it will happen, and then we get ourselves ready and prepared to deal with it," he said. • March 7: Can MN talk about new nuclear power while there's still a ban? What steps has Xcel taken to prepare the Monticello and Prairie Island plants for a possible flood? Sharp said both plants now have equipment and materials on site that could be used to build a berm around the plant to keep out flood waters. They have watertight doors they could install on the lower level, and Xcel has trained staff on how to install them quickly. Since Fukushima, Xcel also has brought in portable pumps and generators that could be used to circulate water to cool the reactors if the power failed. The utility has more pumps and generators stored at two sites in Phoenix and Memphis that could be here within 24 hours if needed, Sharp said. One of the big problems at Fukushima was getting enough workers to the plant because of the flooding. Sharp said Xcel is prepared to have up to 200 workers stay at the nuclear plants, with everything they'd need on site including sleeping bags, toiletries and food. Still, some nuclear-safety advocacy groups have voiced concern that the nation's nuclear plants aren't doing enough to prepare for natural disasters like floods. Edwin Lyman, senior scientist and acting director of the nuclear safety project for the Union of Concerned Scientists, said most of the country's nuclear plants were built 40 to 50 years ago when there was less information available about flooding and seismic hazards. They may not be prepared for the more severe storms and floods that could be more likely in the future, he said. Lyman also said the Nuclear Regulatory Commission decided in January not to require nuclear plants to take extra measures to protect against hazards like flooding and earthquakes based on recent science. It's up to the plants to decide whether to do so, he said. • More news on energy: MN pledges 100 percent carbon-free energy. Is it possible? How worried is Xcel about flooding this year? Xcel's Sharp, along with county and city emergency managers, is watching the forecast and river levels closely. So far, he said, they're not overly concerned. Given the forecast, he anticipates no impact on the Monticello plant's operations from flooding. At Prairie Island, he said, the forecast crest is 10 to 12 feet below the level that would start to interfere with the plant's operations, which is about 692 feet. The flood stage is just over 680 feet. Even at the level that would start to interfere, Sharp said, rising waters wouldn't pose a safety threat. If electrical equipment got wet, that could make it difficult to transmit the power produced by the plant. In such a case, Xcel would shut down the plant, although that's not likely to happen, Sharp said.